Welcome to the Gerald Lawrie MD, PA home page. This web site provides articles of interest regarding surgical procedures and links to other important sources of medical information. It also contains a list of managed care plans for Dr. Lawrie. Should further information be needed which has not been found here, please call my office. Copyright 2010. 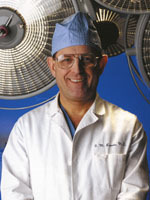 Gerald Lawrie, MD. Houston, Texas. All rights reserved.